Hoo Farm in Telford plan to hold a sheep race in May. 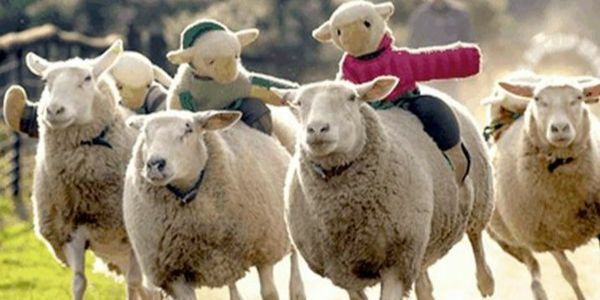 This will involve strapping a toy "jockey" to the backs of sheep and making them race against each other for the amusement of spectators. Sheep racing is cruel and unnecessary. Sheep are quiet, timid creatures and making them run in a crowded and noisy environment for our entertainment is outdated and wrong. These cruel events must end. Animals are not ours to use for entertainment. Lambentations has already successfully got 4 sheep races and a pig race cancelled using Care 2 petitions, so these do work. Please sign now to demand the sheep grand national is cancelled.